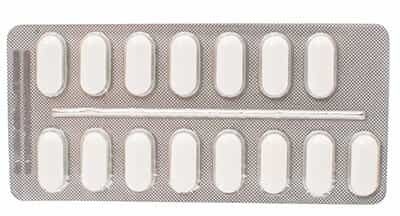 Valium was the first brand name ever given to the drug diazepam, a sedative of the benzodiazepine class that’s used for various health issues, such as insomnia, anxiety disorders, restless leg syndrome, muscle spasms, and seizures. It’s also often used to sedate and calm people prior to surgery and other invasive medical procedures. Long-term use can result in the development of tolerance and increases the risk of addiction. All benzodiazepines have the potential to be addictive, just like many intoxicating substances. Addiction to drugs like Valium, however, can be particularly dangerous due to the risk of deadly overdose and the fact that quitting one of these medications can produce life-threatening symptoms. Long-term use is also associated with a number of serious health problems, including possible brain damage. When it comes to prescription benzodiazepines, there are some distinct signs of abuse and addiction. At the same time, some signs of addiction are universal. It’s important to become familiar with both of these due to the fact that long-term use of drugs like Valium are so dangerous and rather common in young people. Studies have found that more teenagers have abused prescription drugs than ecstasy, cocaine, heroin, and all hallucinogens combined. Though not the only aspect of addiction, the emergence of withdrawal symptoms when a person stops taking Valium can be an indication of a problem. Addiction and general long-term use or abuse can lead to a number of alarming physical, cognitive, and emotional problems. Some studies have found significant brain changes and possible brain damage in people who have taken drugs like Valium for extended periods of time. Other studies, however, have found no evidence of this. It does appear that people undergo minor cognitive difficulties while on these medications, but they then often improve after intake of the drug is stopped. There have also been reports of people developing psychological disorders, including anxiety disorders, that they didn’t have before after long-term use of Valium and similar drugs. But again, these issues tend to improve once these individuals stop taking the medication.